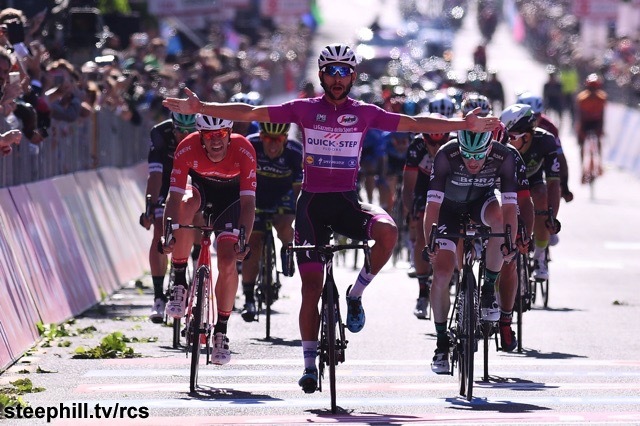 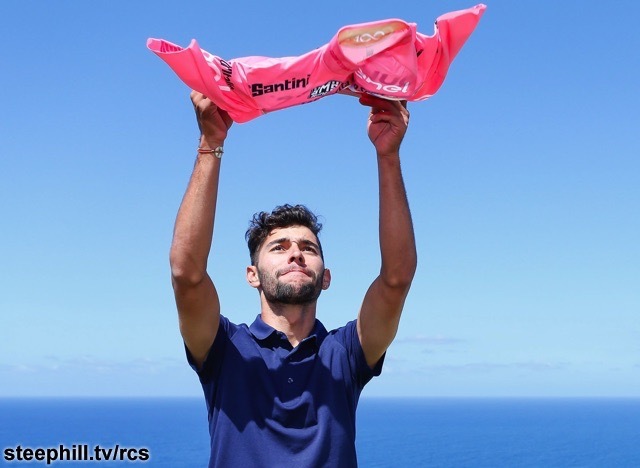 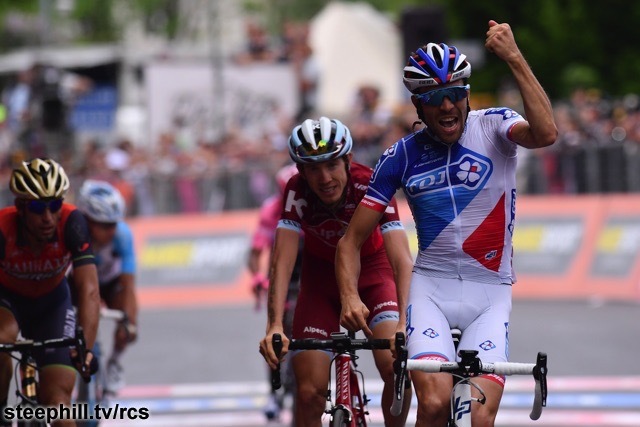 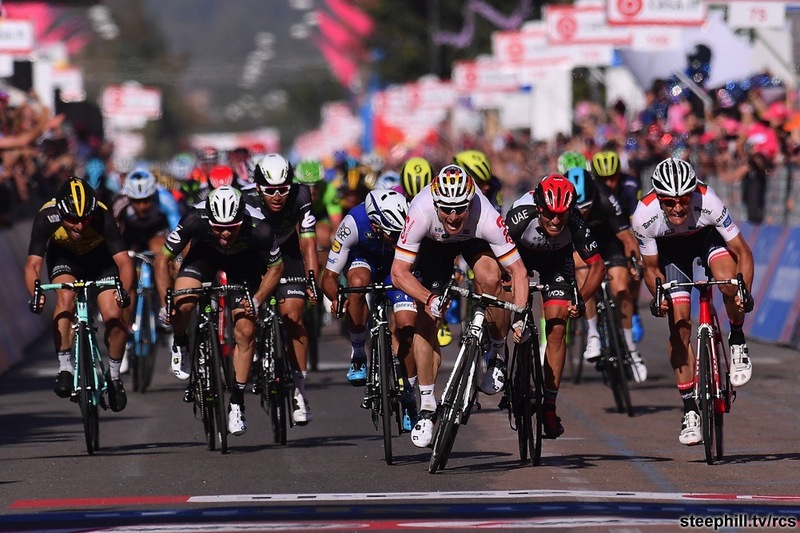 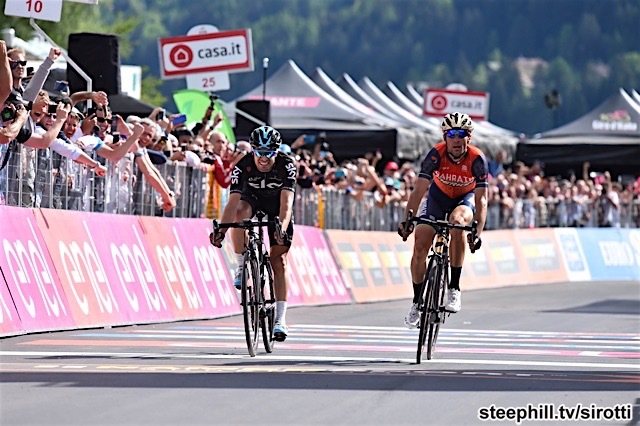 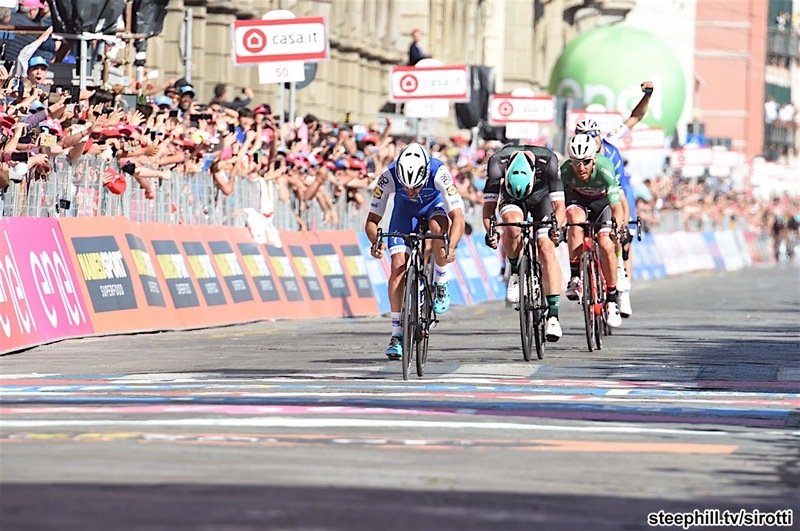 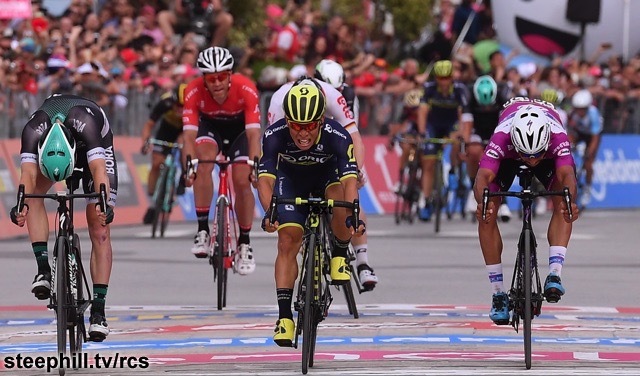 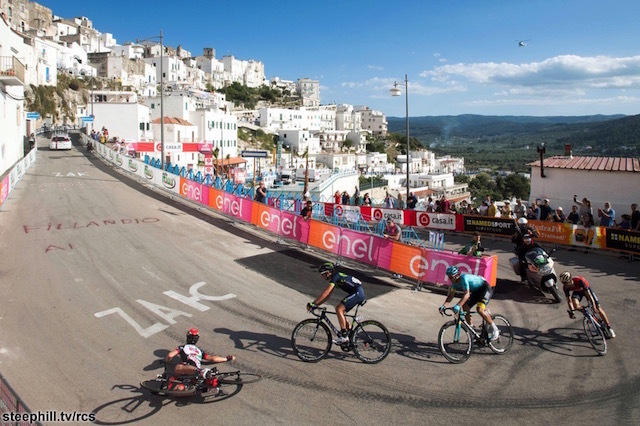 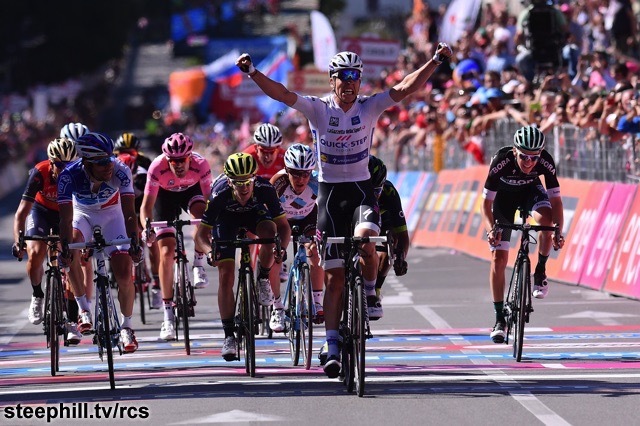 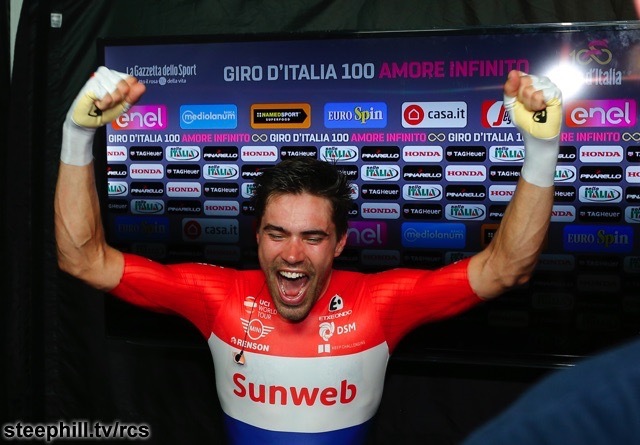 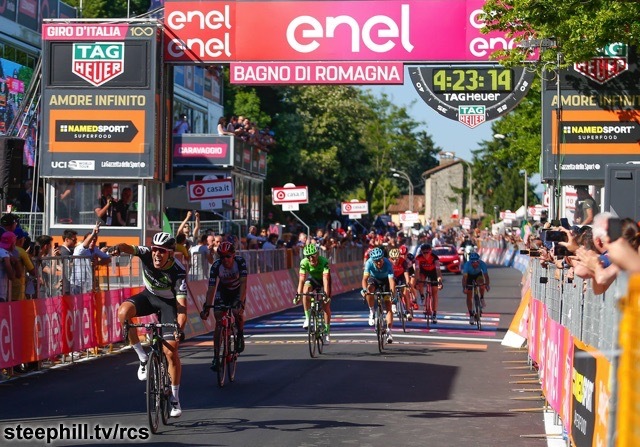 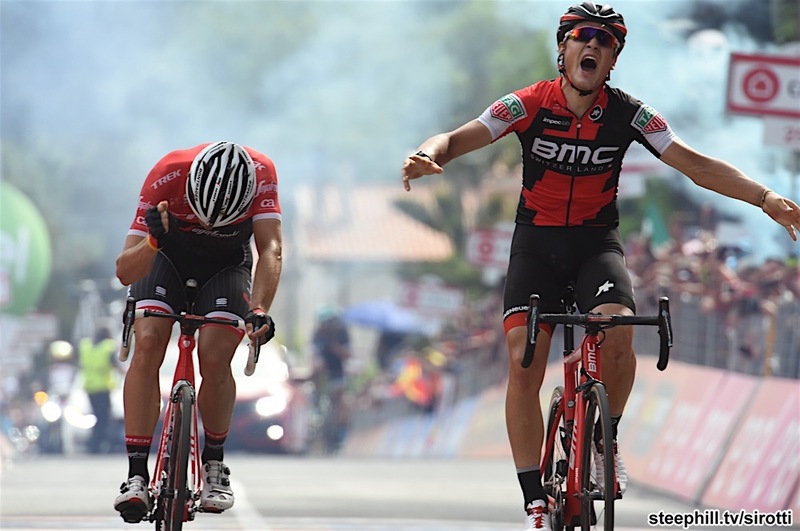 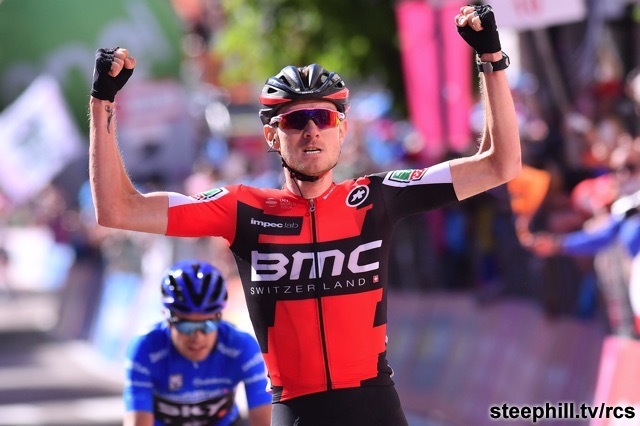 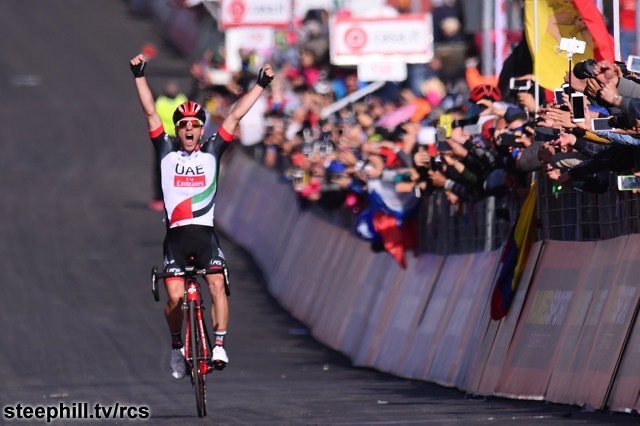 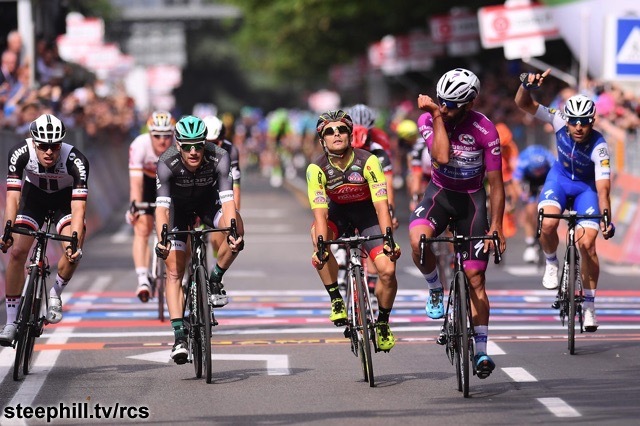 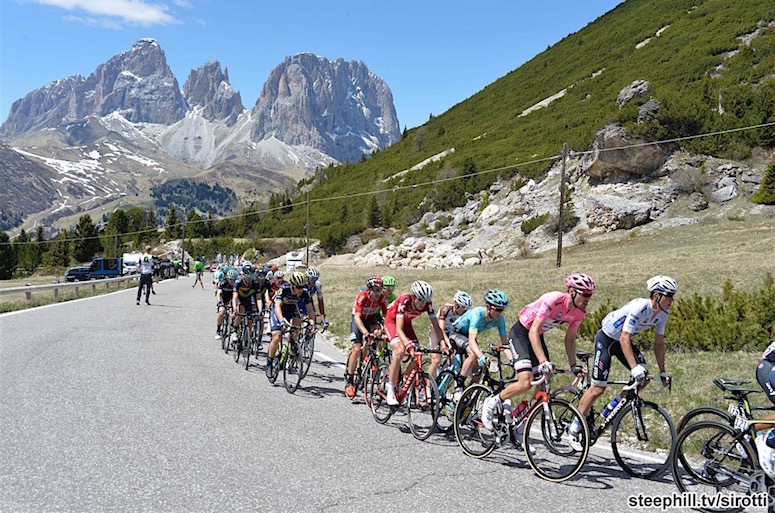 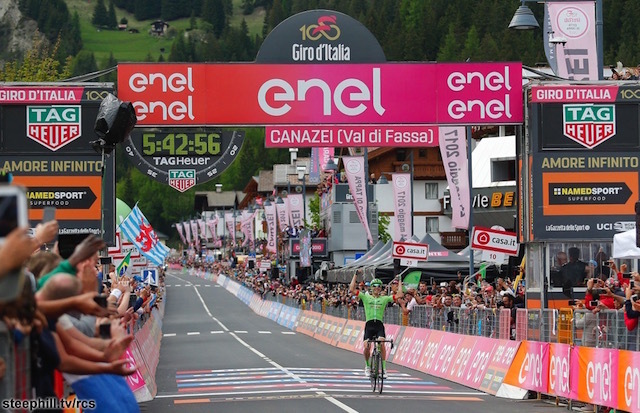 The Dolomites shook the race up as expected and the top six riders on GC are now separated by only 90 seconds -- high drama for the 100th Giro d'Italia. 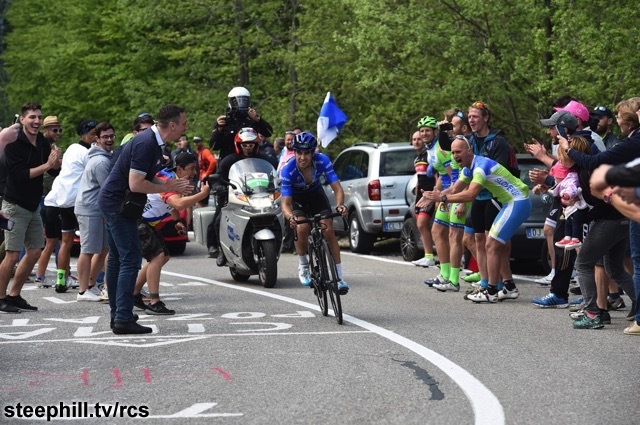 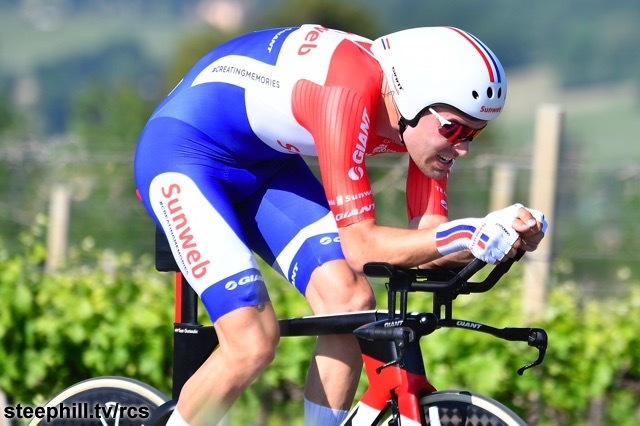 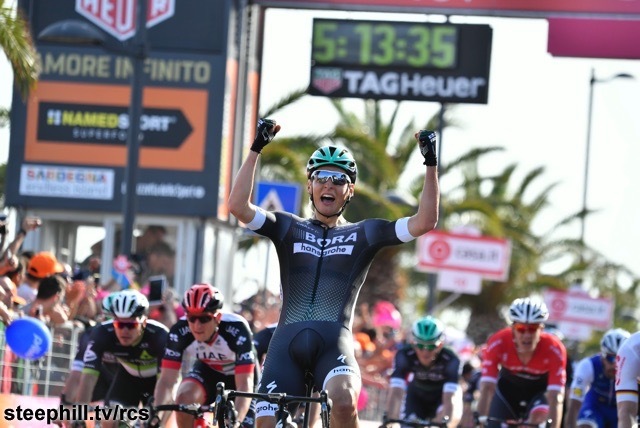 One more road stage before the final day TT in Milan to go on the final weekend. 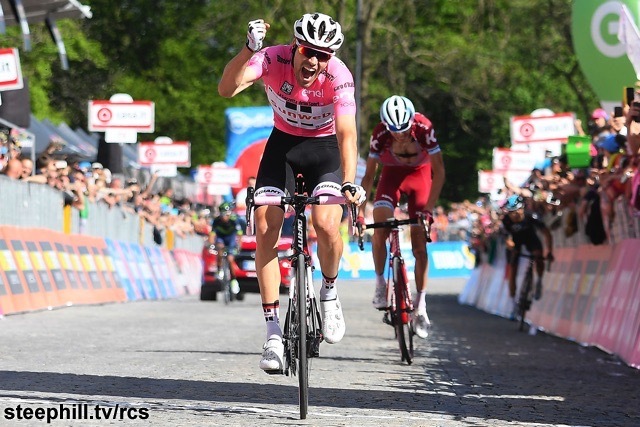 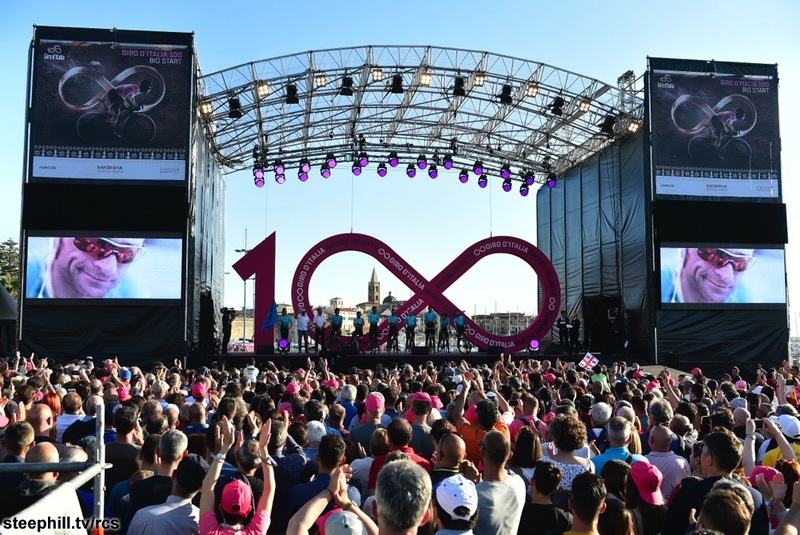 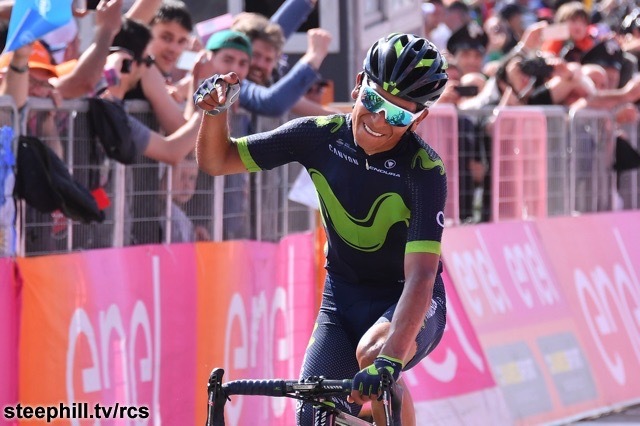 This is the 2017 Giro d'Italia Live Dashboard with access to everything you should need from just one page with daily updates featuring stage previews, live video, results, reports, big photos and video highlights. 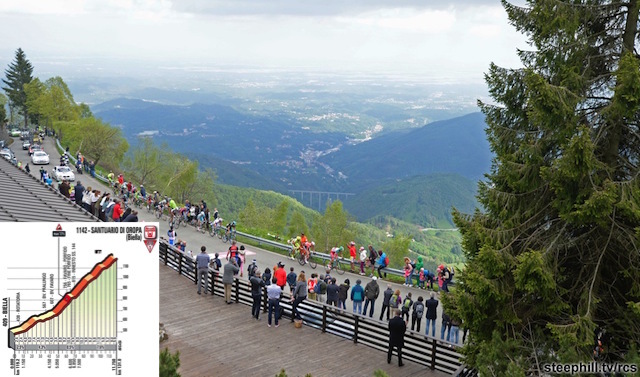 tv schedule Italy; the earliest live on RAI Sport with the pre-race show before live coverage. 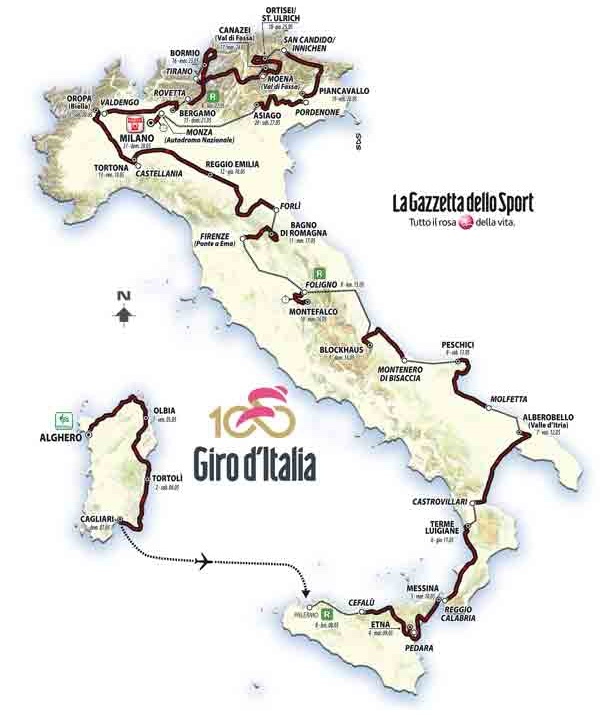 RAI coverage switches to RAI 2 below later each day. 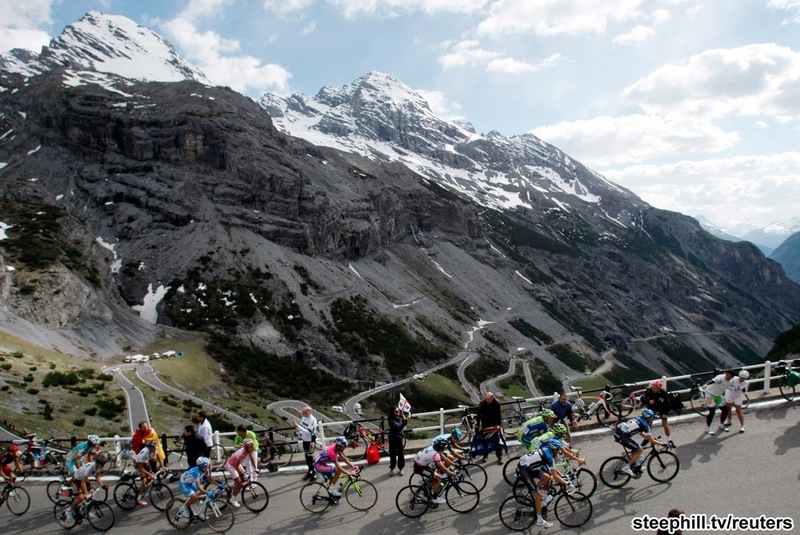 tv schedule Italy; Live on Rai 2. 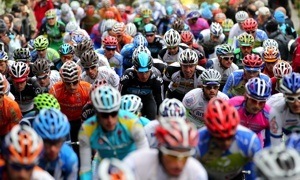 Europe, Australia (English); No Unrestricted live English Eurosport links due to rights issues. 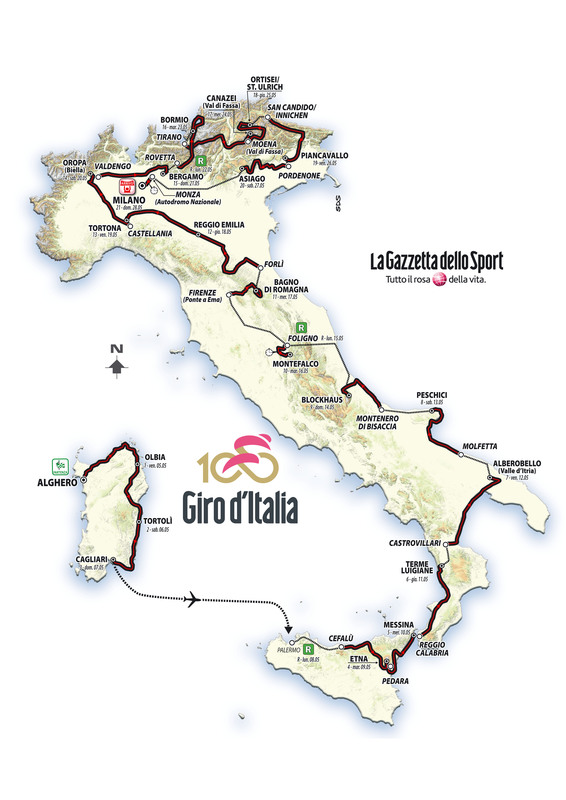 Stage maps and profiles are posted in the race summary table.